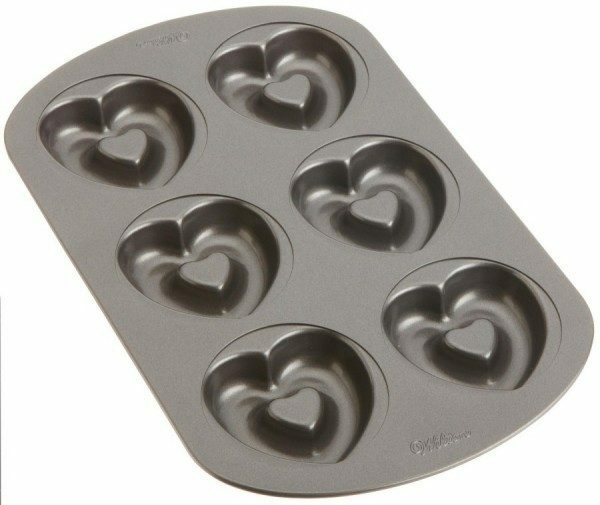 Wilton Nonstick Heart-Shaped Donut Pan Only $4.99! You are here: Home / Great Deals / Amazon Deals / Wilton Nonstick Heart-Shaped Donut Pan Only $4.99! I’ve always wanted to make donuts at home but had never really known how or had the time to learn how to make them on my own. So, I’m psyched about this deal – this Wilton Nonstick Heart-Shaped Donut Pan is just $4.99 (reg. $9.99) with FREE shipping! And, this comes with a recipe book! Baked donuts are definitely better than fried donuts, so I’m excited to get this and try it out with my daughter! They will be so much fun to make together!